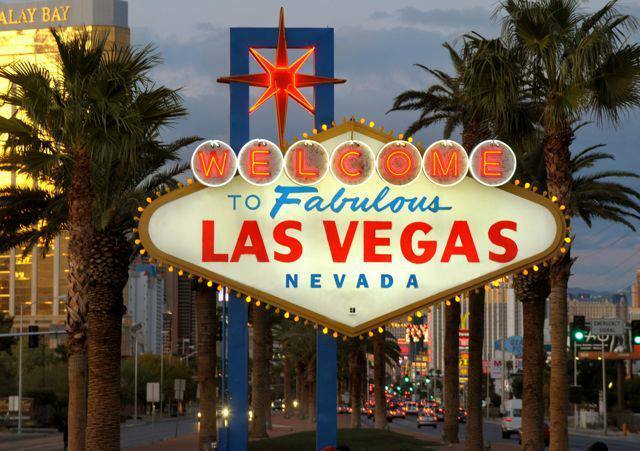 A city in North America offering maximum fun elements to the tourists with utmost unusualness, Las Vegas appeals a number of visitors for its matchlessness. Mesmerizing skylines, stylish hotels, elegant casinos and several other attractions, the city offers an exotic tourist place for the travelers from all over the world. It has too much do and too much see for the visitors. 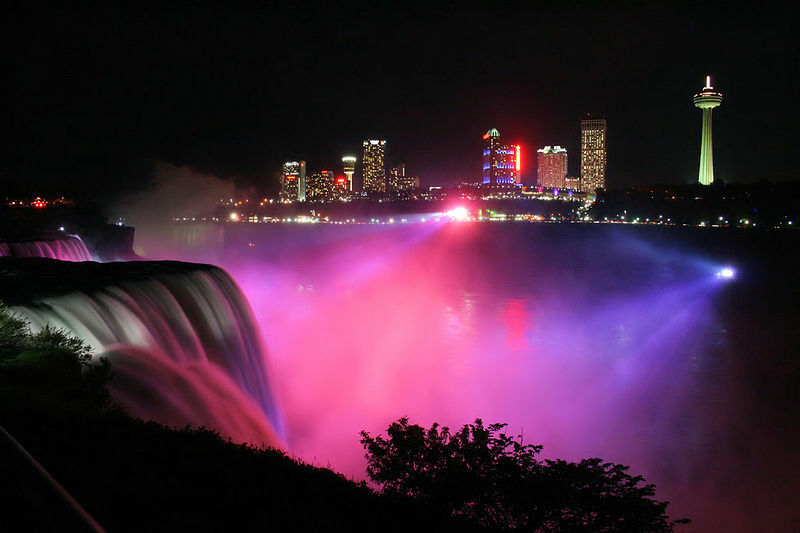 Here below is the list of some amazing attractions of the city that nowhere else can be seen. 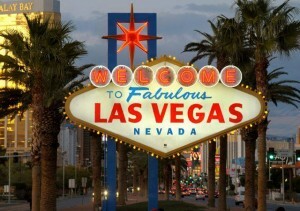 It is a list of must do things in Las Vegas. This show is presented in many cities but the show performed at Las Vegas is something that one should not miss. The show will amaze you in many ways with its exclusive presentation and performance. It is presented on a large scale at large stage with rare grandeur. Must take a gondola ride at the Venetian Hotel, whenever visiting Las Vegas. The rides are really romantic and if you are coming with your spouse or beloved, you should never miss a chance to enjoy it. The gondoliers even sing for the riders. Indoor skydiving is a must enjoy activity when you are in Las Vegas! It is the right thing to do for you if sacred to jump with a parachute. Indoor skydiving gives you an experience close to it but much safer than this. To enjoy this activity, you will have to wear special flight suit, goggles, and fly over a tunnel generating wind. It will keep you from falling down. You will miss something extraordinary if you don’t visit the Grand Canyon when in Las Vegas. Located in the nearby Arizona, it is a long drive from the city but brings an amazing experience for you. Take 1 day vacation to visit this place and believe me you will never regret for it. This canyon is simply not a crack in the plane but it is a massive, stunning and awesome space that is wonderfully created by a tiny Colorado River. Helicopter Ride is very trendy activity to enjoy in Las Vegas. If heights don’t make you scare, add the helicopter ride in your Las Vegas ‘must do list’. 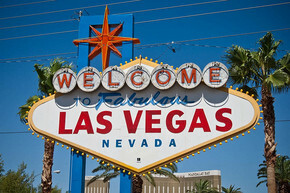 Few known flying destinations in Las Vegas are the Grand Canyon and the Hoover Dam. Are you interested in enjoying something thrilling? If your answer is yes then go for a zip line tour over the Bootleg Canyon. Situated slightly away from Las Vegas in the Boulder City, this enthralling tour offers some fun-filled moments to the visitors. The speed of this zip line is up to 60 miles per hour. It will allow you flying over the mountains and enjoying the outstanding views of Boulder City and Lake Mead. Las Vegas has a lot more for its visitors. You will never be disappointed by visiting a city that so much to offer you. 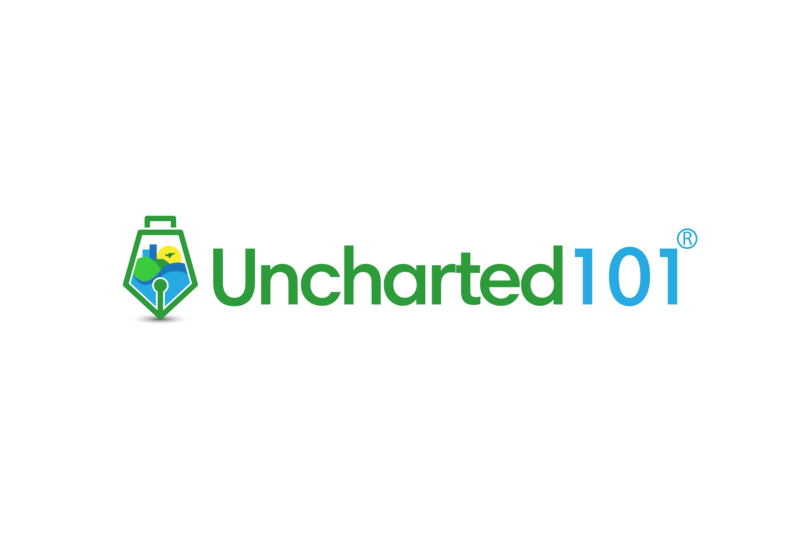 Explore some cheap airfaredeals on internet to make sure of visiting a wonderful destination at irresistible rates. 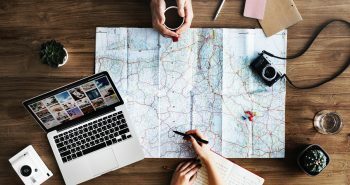 This is a guest post done by Amrita from BookEasyTrip.com, India’s leading online travel portal. 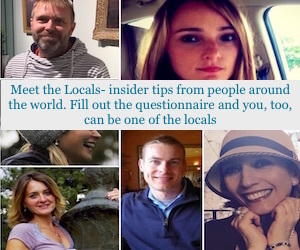 She loves to write about travel & tourism and maintains a blog BookEasyTripTravelBlog.com to exchange innovative travel ideas. The Grand Canyon is one of the most beautiful, awe-inspiring and humbling natural places to visit in the world. It is nature’s absolute gift of opulence. The river’s water carved a gorge of epic proportions, which was followed by wind and water eroding the rock and sweeping it away. Though hard to imagine, the river was actually once on top of the canyon. The layers of the Grand Canyon are a stunning facet revealing various time periods and conditions. In other words, the Colorado River has cut through the earth to reveal the passing of millennia before our very eyes. Indigenous peoples have called the Grand Canyon home for thousands of years. Approximately 10,000 years ago, paleo-hunters were known to have hunted big game throughout the area. 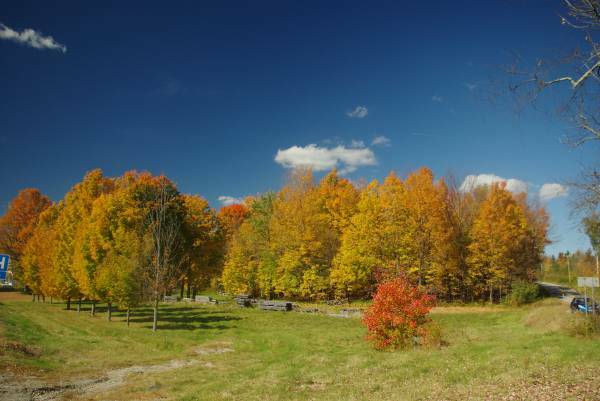 According to historical data, hunters lived in the area until about 1000 BC. Archaeological discoveries, such as pottery found in the canyon, have been carbon dated to 4,000 years ago. Archeological evidence concludes that almost 2,000 ancestral villages, which include the Tusayan Pueblo built in 1185 AD, existed at the Grand Canyon. Research ascertained that by the late 1200’s the early Grand Canyon Native Peoples abandoned their homes possibly due to an extended drought. By the 1300’s the Cerbat peoples, who are the ancestors of the present day Havasupai and Hualapai Tribes, moved into the canyon with the Southern Paiutes. The Navajo and Dine peoples, who are relatives of the Apache Tribe, settled in and around the canyon. The members left of what once was the Great Navajo Nation live on a reservation that is situated along the eastern section of the Grand Canyon. One of the first rafting expeditions by way of the Colorado River was led by John Wesley Powell with a party of nine in 1869. They traveled 1,000 miles in wooden boats through the Grand Canyon. It was a dangerous venture causing the loss of three men. However, a second journey in 1871 garnered Powell critical information about this mostly unexplored part of the United States. The Paiute peoples called the canyon “The Mountain Lying Down”. 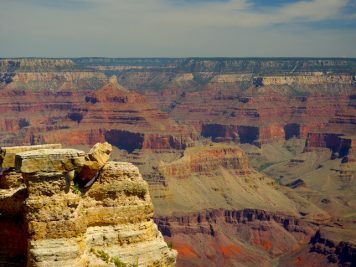 John Wesley Powell decided to call the area “Grand Canyon”, which term he published in the 1870’s, and which name was deemed appropriate to all concerned. There was a time during the 1870’s and 1880’s that mining was attempted in the canyon, and stakes were claimed. The mining discovered lead, zinc, asbestos, and copper, but mining proved to be too dangerous. Instead the miners turned to the enterprising business of tourism. There are three major rims of the Grand Canyon attracting tourists and vacationers. The South Rim of the Grand Canyon is the most popular and most accessible, enjoying over 5 million visitors each year. It is only 60 miles from Williams, Arizona, which is home to the Grand Canyon Railway. The South Rim is also only about 80 miles northwest of Flagstaff, Arizona, which is the nucleus of Northern Arizona. The red rock country of Sedona, another wonder of nature, is just about 20 miles south of Flagstaff on State Route 89A. The North Rim of the Grand Canyon is very remote with few services. It may be more ideal for the adventurous and exploratory visitor. Although the North Rim of the Canyon can be seen from the South Rim and is only 10-15 miles away by way of an eagle’s flight, it is about a 5 hour drive to get to the other side. Located more remote, the view is more incredible compared to the South Rim, and is most accessible from southern Utah. The Grand Canyon’s West Rim is not governed or controlled by the National Park Service. It is owned and operated by the Hualapai Indian Tribe, who is increasing its amenities and services to attract a greater number of tourists. The West Rim is the home of the “Skywalk” where tourists can walk out over the canyon on a glass-like surface, which experience is an absolutely breathtaking adventure. 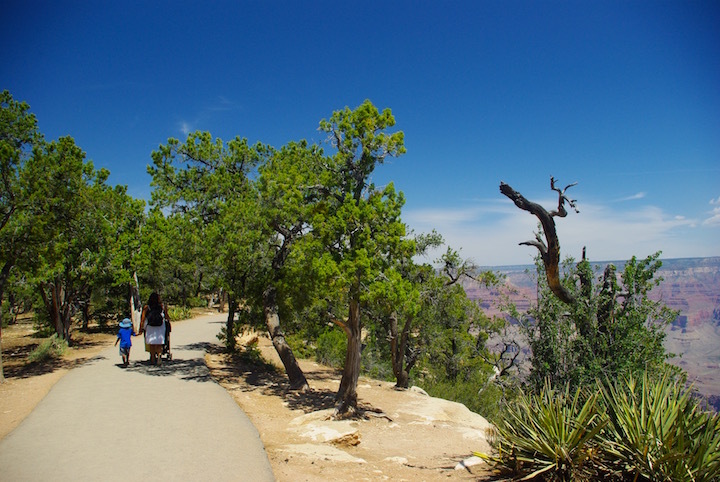 The West Rim is located closer to Las Vegas and enjoys a great number of tours from the Las Vegas area. 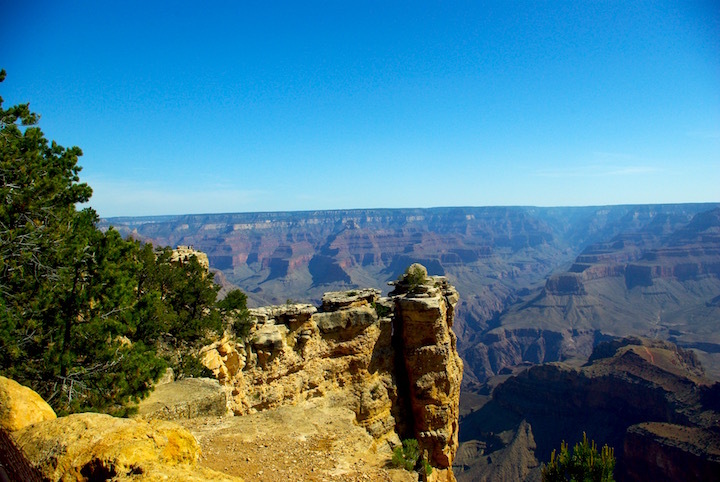 A Grand Canyon vacation offers tours, adventurous river rafting expeditions, hiking, mule rides, and camping. Each of the rims is unique and offers a variety of different adventures in vacation pleasures. Ultimately, gazing at the timeless wonder that is the Grand Canyon is inspiring to the senses and humbling to the spirit. 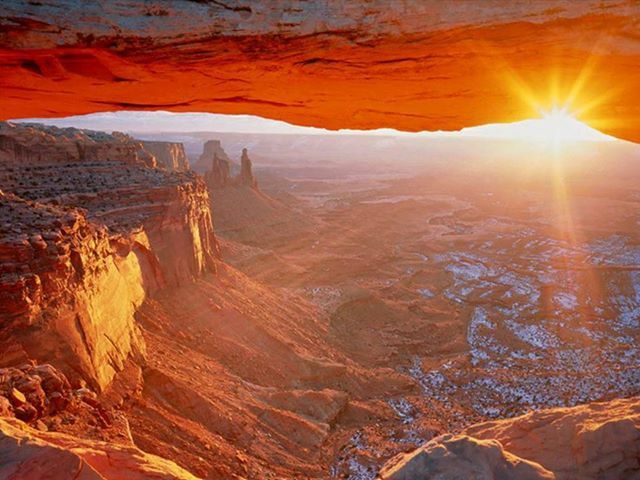 Watching the sun rise or set over the canyon is one of the most magnificent gifts of nature to witness. The glorious colors of the rocks come to life with a brilliance all their own and stir the imagination of an unforgettable vision, awaiting reminiscence.